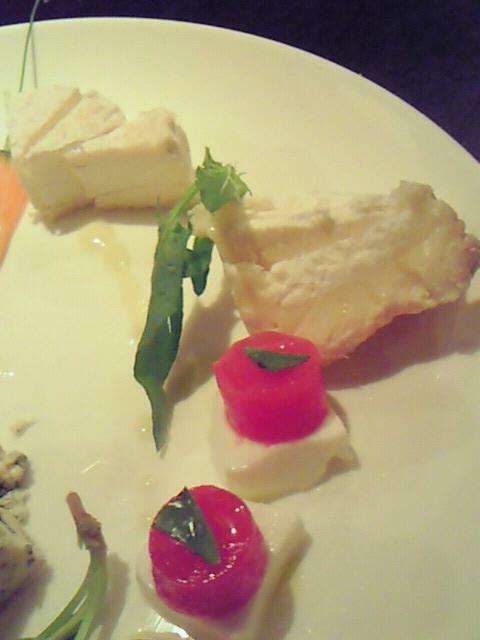 It was about grand time that I visited Gentil Restaurant in Shizuoka City again with my cheese-lover friends!. 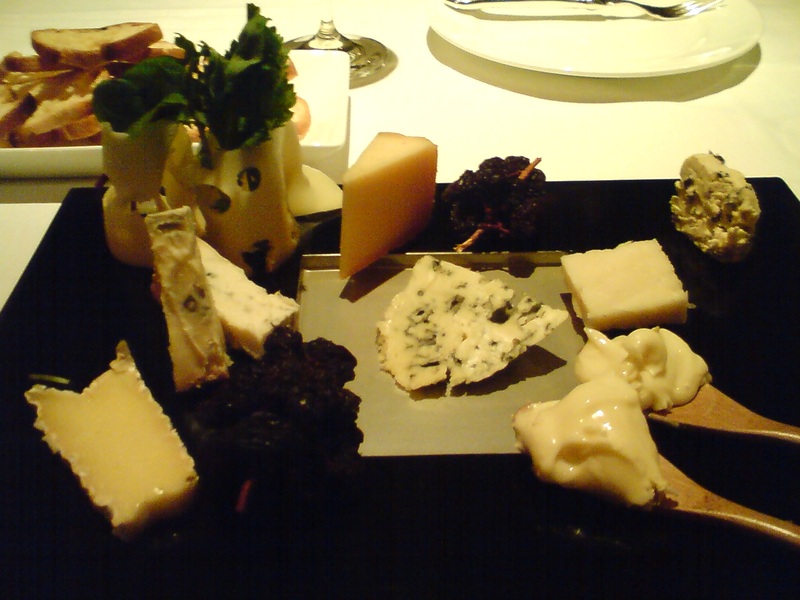 Gentil is renown all over Japan for the best cheese trays (within reasonability in a restaurant! 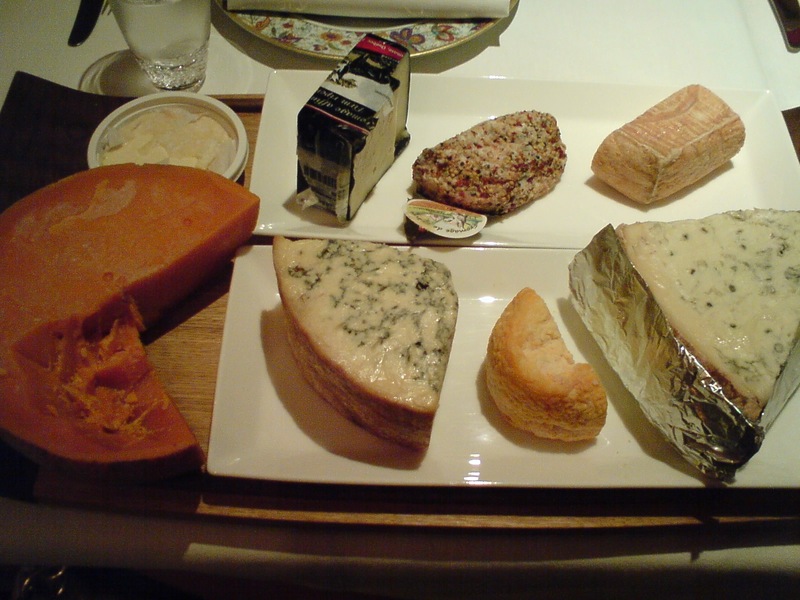 Naturally one could always offer a mountain of cheese at ridiculous prices!) served at a restaurant. I made a point this time to take picture of all individual cheeses for everyone’s references! These were the 8 cheese presently served (there are more in store at the restaurants but all are served when perfectly ripened!). Let’s have a look at each of them! 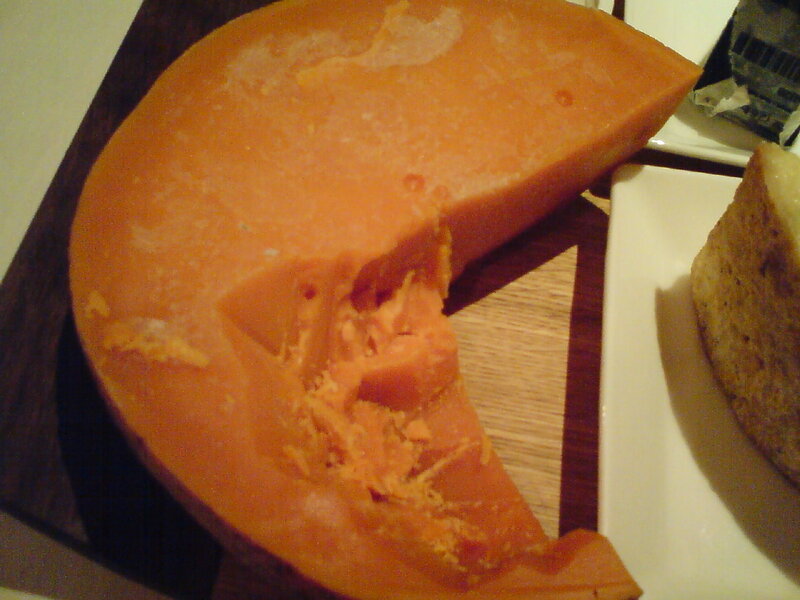 Vieille Mimolette, Cow’s Milk, 18-month old, Northern France. Very soft and elegant in spite of its venerable age! 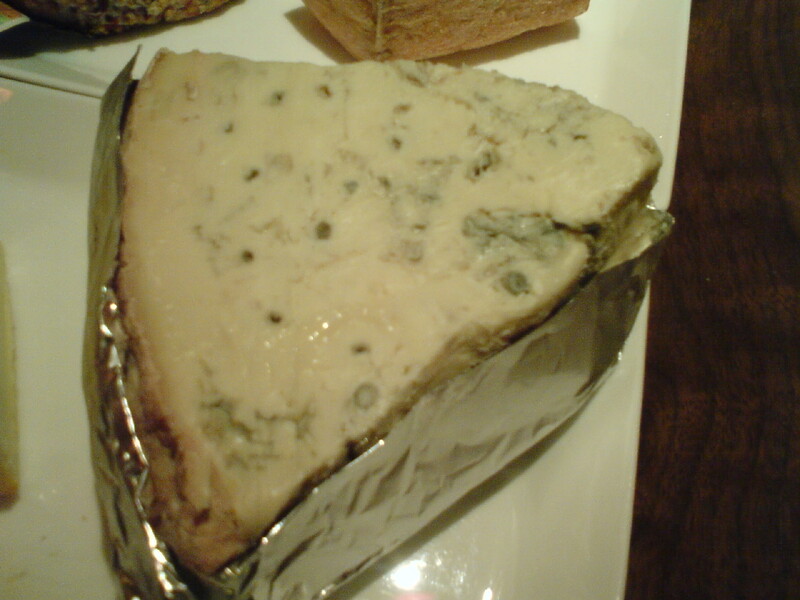 Blue Stilton, Cow’s Milk, England. A rare combination of softness and pungency! Langres, Cow’s Milk, Bourgogne & Champagne, France. My home’s cheese! Do I need to comment? 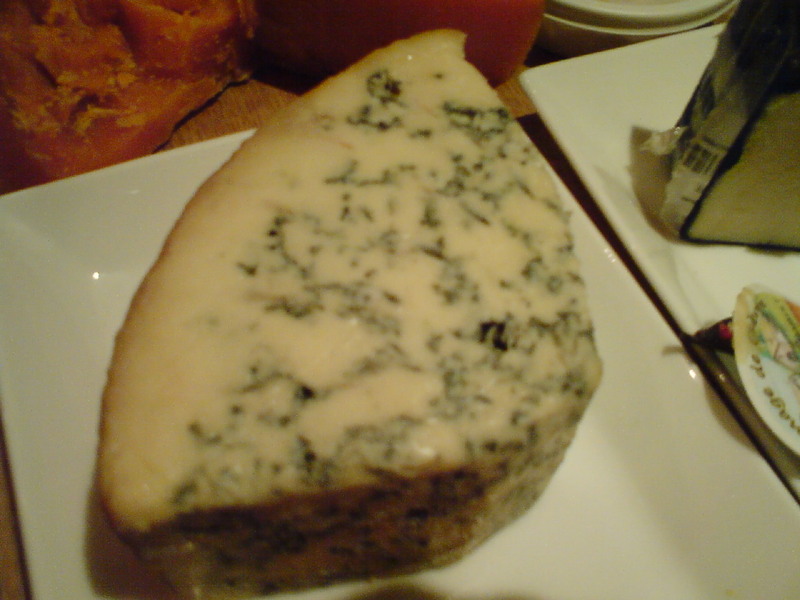 Gorgonzola Dolce, Cow’s Milk, Italy. Vey soft and elegant! Petit Plaisir, Cow’s Milk, Hokkaido, Japan. It has recently been elected as the best cheese in Japan! A discovery! Remiscent of a beautiful Saint-Marcellin! Chevre Noir, Goat’s Milk, Canada, 2-year old. Another discovery! very soft for an old goat’s cheese! 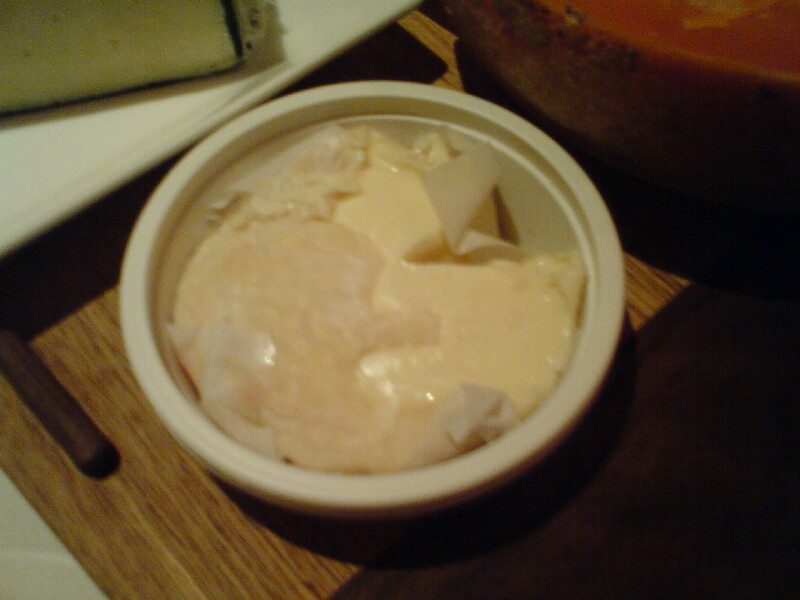 Malvaux, Goat’s Milk, Deux-Sevres (Western Loire), France. It is covered with spices like a Corsican Maquis! So many tastes exploding on your palate! Talegio, Cow’s Milk, Italy. Both elegant and strong! The tray as served for 3 guests! A work of art, indeed! it has been some time since I paid my last visit to Gentil Restaurant in Shizuoka City. Marchalet, France, Cow’s milk. And beautiful mini-carrots! Top: Banc de maquis, France, Ewe’s milk. 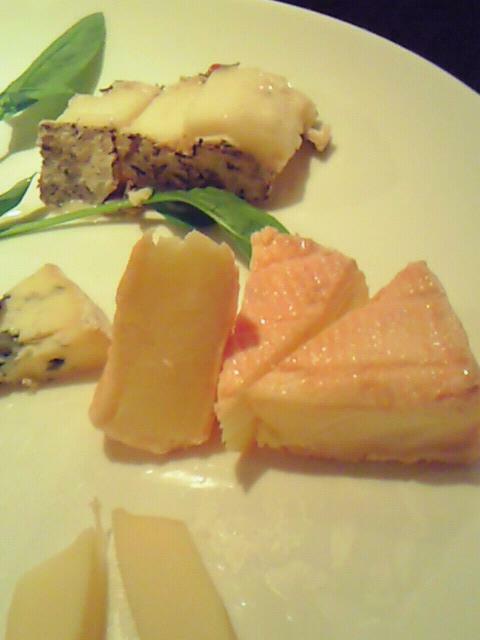 Bottom is Le Vigneron, Alsace, france, Cow’s milk, matured with Gewurtstraminer white wine. Sakura, Hokkaido, Cow’s milk (raw). 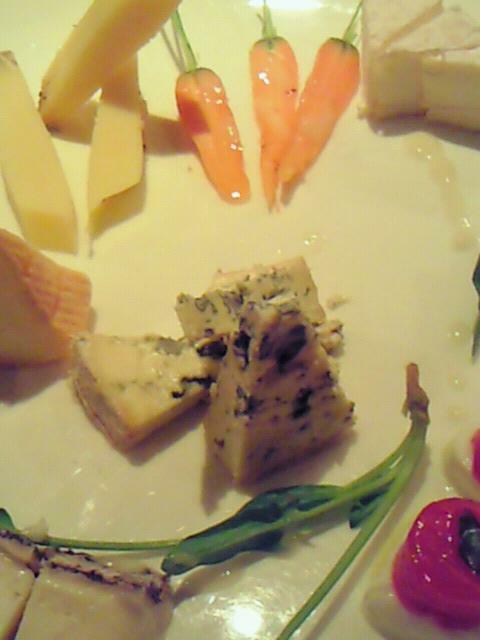 Centre: Fourme D’Ambert, France, Cow’s milk. -Top row: Brie de Meaux (4 months, France), Gorgonzola Dolce (Italy), Bleu D’Auvergne (France), Raclette (6 months, Hokkaido, Japan). -Bottom row: Chevre Noir (2 years, Goat Milk, Canada), Mont D’or (France), Petit Agour Basque (Ewe, France), Cream cheese and Rum Raisins creation by Gentil. It was about grand time I paid a visit to Gentil, the oldest French restaurant (1964) in Shizuoka City. It is a great and accordingly expensive restaurant, but if you confine yourself to a plate of cheese and a glass of good wine, it is actually great value. Ms. Keiko Kubota is THE authority on any cheese in Japan and actually helps mature cheese she acquires all year long in season only. As for wines, the pairings are just sublime. A white from my country! 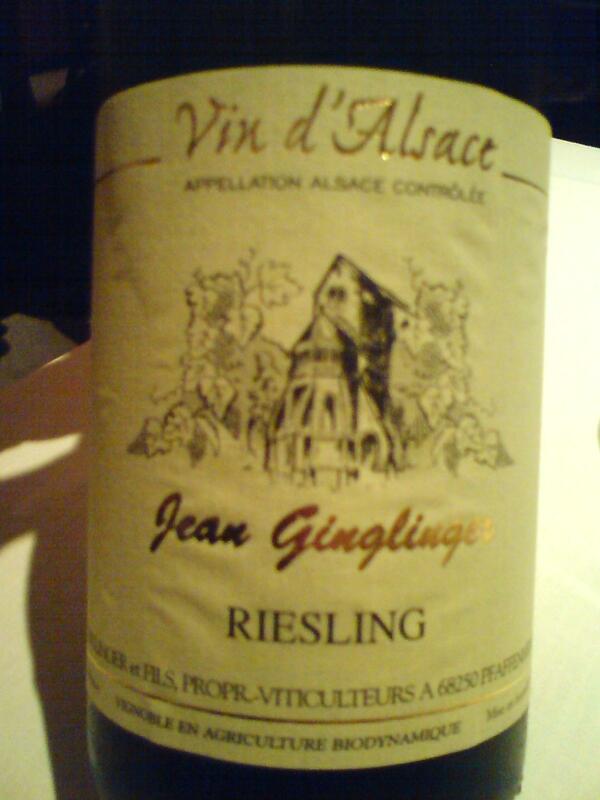 Alsace, France, Riesling by Jean Ginglinger, 2008. 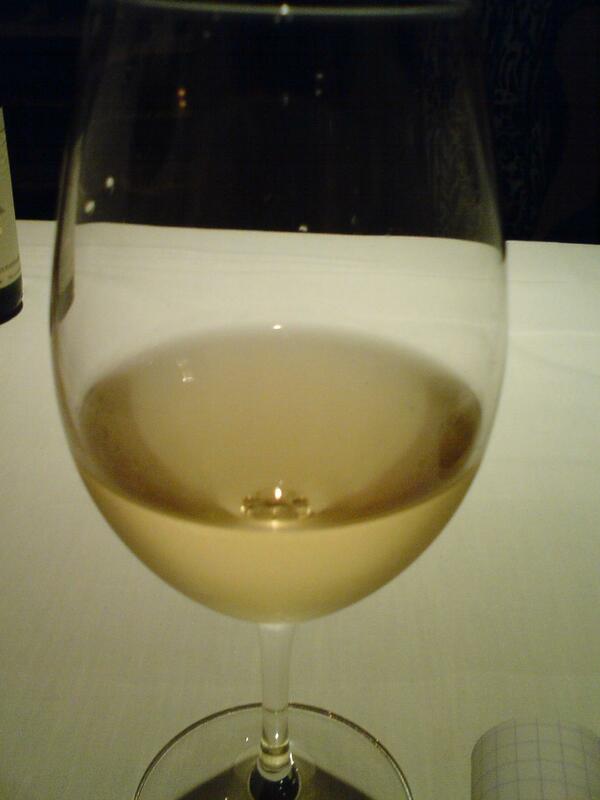 Aroma: Fruity and sweetish, very natural, green grass, Muscat and apples. Taste: Soft attack, fruity at first with muscat, but quickly taking a very tangy turn with green grass, green apples and peach memories. Very pleasant and great pairing with cheese. Kept it own all the time in spite of the strong cheese. 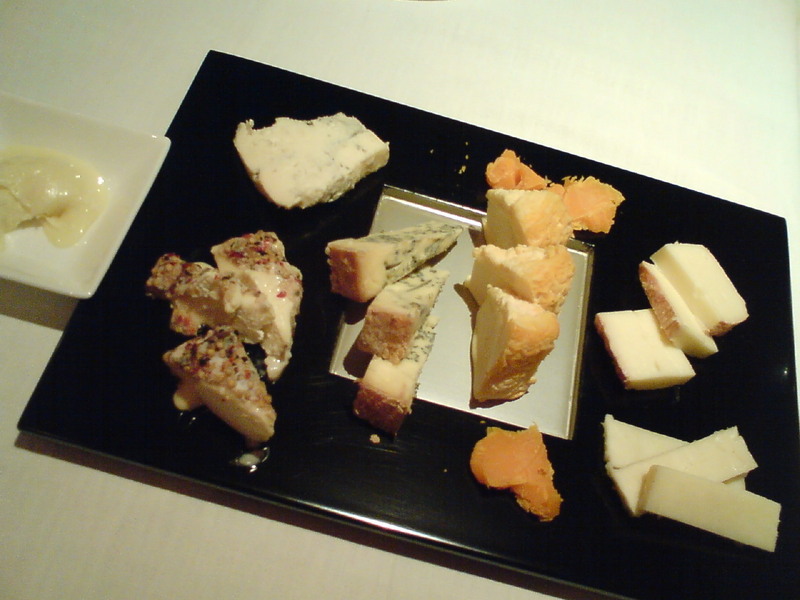 All the cheeses represented on the tray at the top of this article are feature except one! The raclette came on toasts! You do need some sugar to balance all the salt ingested with the cheese! Camomille & Milk, Rum Raisins, Maro-Blue/Usubeni Aoi Herb. 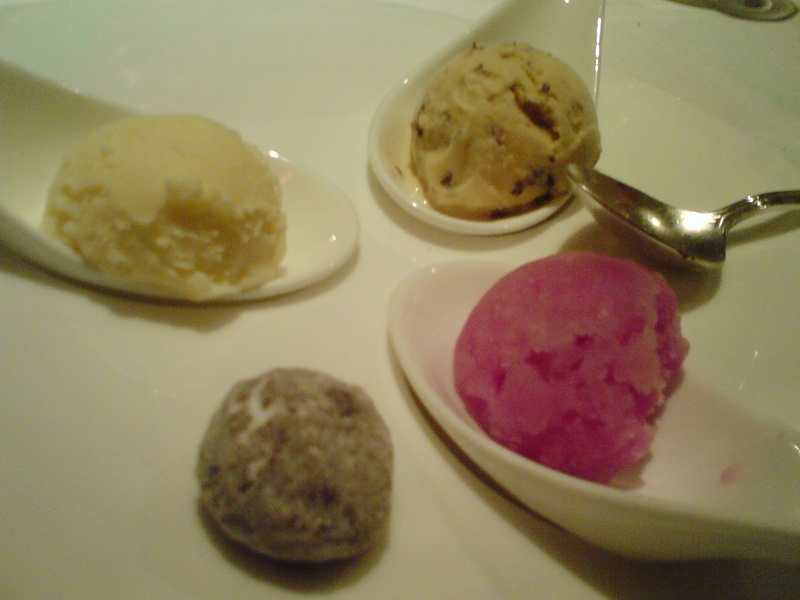 The little mignardise is a snow ball bicuit made with chocolate and caraway seeds. Japanese Cheese: NEEDS Co Ltd. I have already said that the Japanese have been steadily increasing their own cheese production for the last 10 years or so with some reamarkable results. Moreover, these cheese have slowly but steadily become available over the whole country at specialised shops and department stores. As a futher proof I have discovered four more cheeses by a different company I hadn’t heard of before: NEEDS Co Ltd in the island of Hokkaido! NEEDS stands for “Northern Eco Economy Developing System”. The amusing details are that names are in English or Japanese while weights and packaging are written in French. 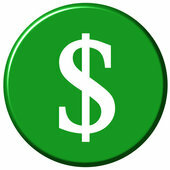 NEEDS Co. Ltd. is relatively new as it was founded in 2003. They are all made from raw cow’s milk and very safely packaged, a must in this country with very changeable climates! The above cheese, a hard type variety is called Kashiwa/槲 (Japanese Emperor Oak), the name of a tree found in Hokkaido. 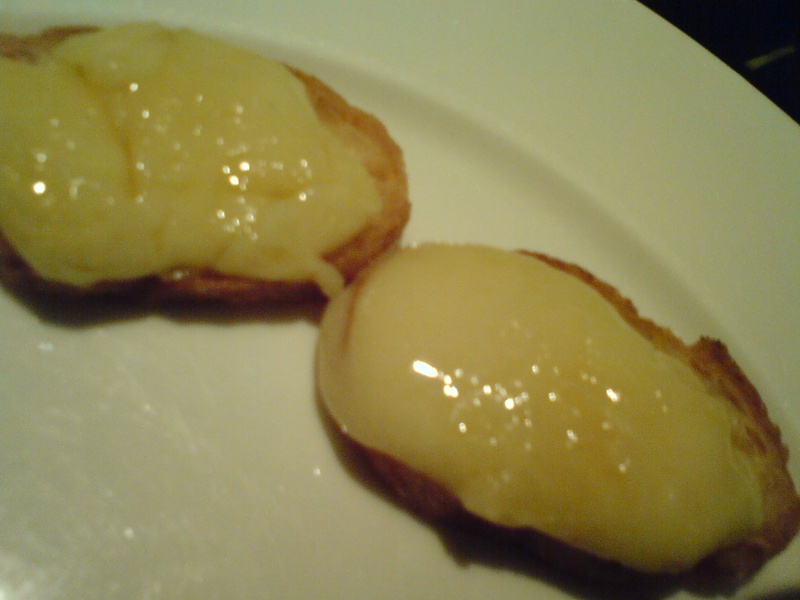 It is a cross obtween Emmental and Gruyere, with some welcome pungency and solid taste. This cheese is called “Ｏｏchi no Hoppe/大地のほっぺ” meaning the “Cheek of the Large lands”! 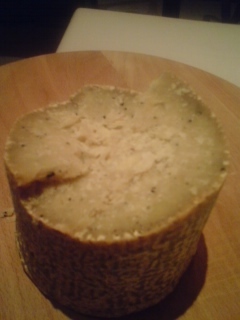 Reblochon-style, it is quite soft and pobably will do better with some more maturing. 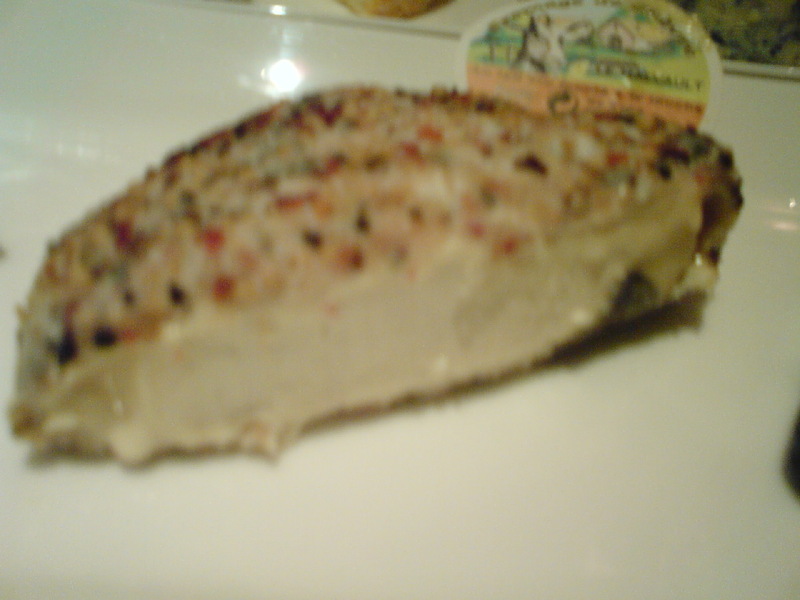 The cheese above is called “Sakeru Type Mozzarella/White pepper/String/さけるタイプ・モッツアレラチーズ・ホワイトペッパーストリング”. in brief it is a string-type cheese you can tear easily. great as a snack. The pepper contained in the cheese is a good initiative. As for the name Mozzarella, it just shows that the Japanese laws are somewhat a bit lax! great snack with beer. As the name “Caciocavallo” indicates, the above cheese is Italian-inspired! Softer than its Italian counterpart, it has nonetheless a solid taste with plenty of supleness, making for a great snack! This is the second set of cheese made by Kyodo Gakui Tokunojyou in Hokkaido Island I found In Lavigne, Shizuoka City. I have already introduced other cheeses from the same company (see above picturse). These two cheeses seem to complete the whole series from that particular company. This one is simply called “Camembert-type”, and it is very near the French product, the more for it that it ismade with raw cow’s milk. Actually it is the Sasa no Yuki minus the bamboo leaf! Well-matured and soft, it can be matured a longer time. The last one, a hard type cheese also made with raw cow’s milk is called “Lera He Mental”, obviously inspired by Emmental and Comte cheeses. Surprisingly strong in characteristic, it makes for a great snack with wine and bread. Can definitely be used in somewhat extravagant cooking! Last Friday, as said in previous reports, my two friend students and I visited Gentil, the oldest French restaurant in Shizuoka City. It is a great and accordingly expensive restaurant, but you if confine yourself to a plate of cheese and a glass of good wine, it is actually great value. Ms. Keiko Kubota is THE authority on any cheese in Japan and actually help mature cheese she acquires all year long in season only. As we were three of us, she served us two trays of them. -Top left: “Tsuki no Okurimono/The Moon’s Present”, Cow’s milk, Hokkaido, Japan. -Bottom right inside a small dish: “Baby Cheese”, Cow’s milk, Canada! What did we drink with that? A very fine Morgon from Bourgogne, France! The Japanese have been steadily increasing their own cheese production for the last 10 years or so with some reamrkable results. My last discovery concerns a whole range of goat cheeses created by Fran Fran Farm under the name of Tokachi Millenium Forest Company. The company was founded on September 21st 1996 with the idea of producing local products and promoting the environment. The cheeses, if somewhat mild in taste, are definitely worth exploring! This cheese is inspired by, if not the shape, French Saint-Maure, a fresh goat-cheese type covered with wood ash. Firm, but easy, it is very mild. To be savoured on its own. 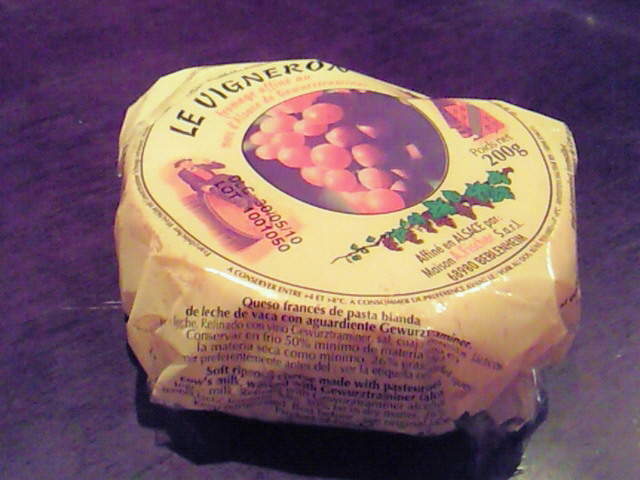 This particular cheese has the shape, colour and texture, and the taste of a French Valencay. Solid but soft on the tongue. Great on its own or with a salad. This cheese is semi-hard type, very reminscent of the same produced in Italy. Stronger taste, but very pleasant. Great on its own or cooked. This cheese is reminiscent of a French Santranges before aging dries it up and leaves mold on its surface. Firm in texture,but soft on the tongue in spite of a pronouced taste. Would be greated toasted on a salad! This cheese is the only one made from raw milk in that series. Very much like a fresh Brousse from Corsica, France. Has already developped a strong taste of its own. 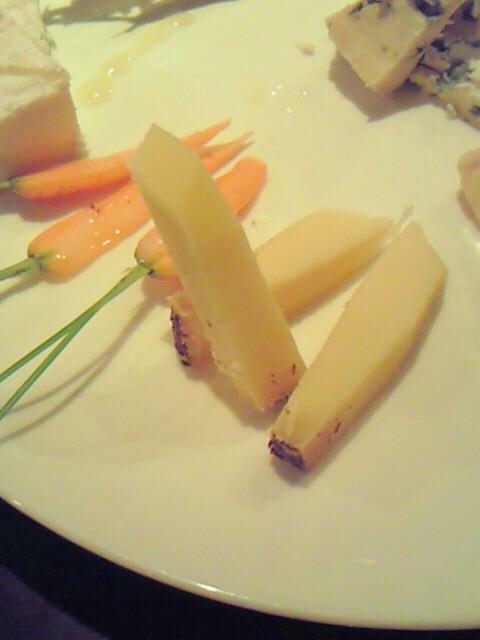 If aged properly, coild become a very interesting cheese. To be eaten on its own with a Port! All these are surprisingly “mature” in taste for Japanese cheese, which shows that cheese in Japan definitely has a future! This article is again dedicated to Cheese Monger as he is interested in what we can expect here in Japan! I don’t need to introduce Gentil and Ms. Keiko Kubota in Japan who is THE authority on cheese in Japan! Another great plate, I can assure you! JAPANESE CHEESE: HOKKAIDO RAW MILK CHEESES PLATE! There is a very welcome competition in Shizuoka City when it comes to cheese, both from Japan and abroad, because of the awareness created by Keiko Kubota at Gentil. Now, I have the luck to be very friendly with the owner of Nagashima Liqueur Shop in Shizuoka City who spent a long time studying in France. As a wine lover, he is very fond of cheese and retails a few very well-chosen ones in his shop. 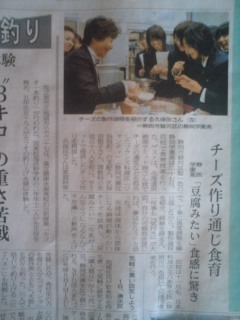 These days he is introducing a series of delicious raw milk (unusual in Japan till recently) from Hokkaido. Sasa no Yuki means Bamboo Grass Snow. Such short ban\mboo grass are found everywhere in Japan and have been used for eons to wrap food. 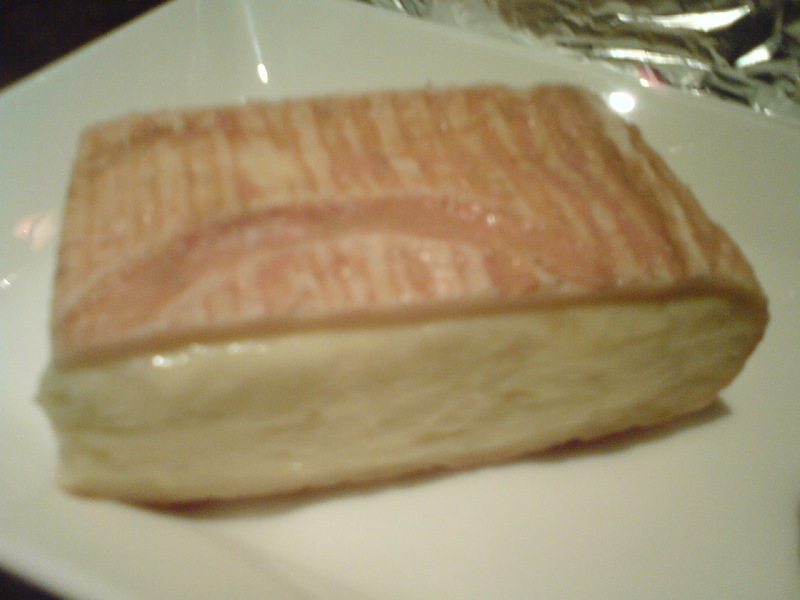 A bamboo grass is “wrapped” around the cheese reminiscent of the French Feuille de Dreux Cheese. Mild Camembert type, very easy to eat on some great toasted bread! It is the size of a Camembert, 250g and like all these cheeses is exclusively made form Cow’s raw milk with the addtion of a little salt. All four cheeses can aged at home. Koban is another soft type cheese reminiscent of Pave and Camembert in France. Very mild and easy on the palate. Sakura/Cherry Blossom is considered as the best Japanese creation when it comes to cheese. 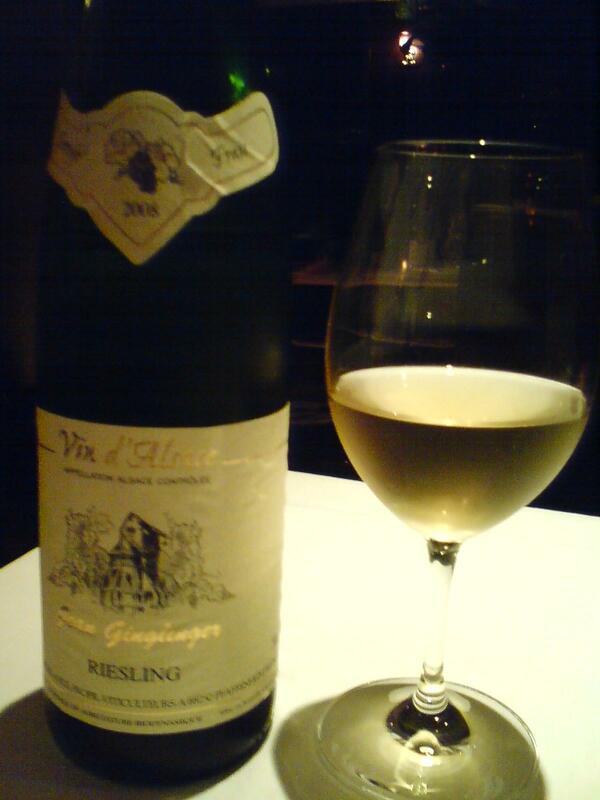 It received prizes all over the World, especially Germany, and was served at the last G8 Meeting in Hokkaido! Served with a cherry blossom pickled in salt. Reminiscent of Saint-Marcellin, but slightly milder, it is extremely elegant and complex. Can be matured at will! Raclette. made in the same way as Swiss and French Raclette, it is milder and great heated and flowing on brea, as a Fondue, as it is or toatsed on muffins! It had been matured for 3 months. Won the Best Japanese Cheese Contest in 1998. This article is dedicated to Cheese Monger as he is interested as we can expect here in Japan! I don’t to introduce Gentil and Ms. Keiko Kubota in Japan who is THE authority on cheese in Japan! Great plate, I can assure you! Last night I paid a belated visit to Gentil Restaurant In Shizuoka City in the company of two good friends to check and taste what was on offer at that nationally famous restaurant. -10 year-old Red Cheddar (Cow’s Milk, Wisconsin, US. Yes, you read well!). A rarity! -“Hokkaido Shintoku”, semi-hard type from Hokkaido, Japan. Only served presently at Gentil! We actually tasted all the cheese on the tray. -10 year-old Red Cheddar (Cow’s Milk, Wisconsin, US.)! -Gorgonzola Dolce (Cow’s Milk, Piemonte, Italy) in the wooden spoon. Chateau Talbot from Bordeaux, and wines from Crozes-Hermitage and Bourgogne! Last night I visited in the company of a good friend, I paid my first visit to Gentil Restaurant In Shizuoka City. -Talegio (Cow’s Milk,Italy). Rowena, for you! 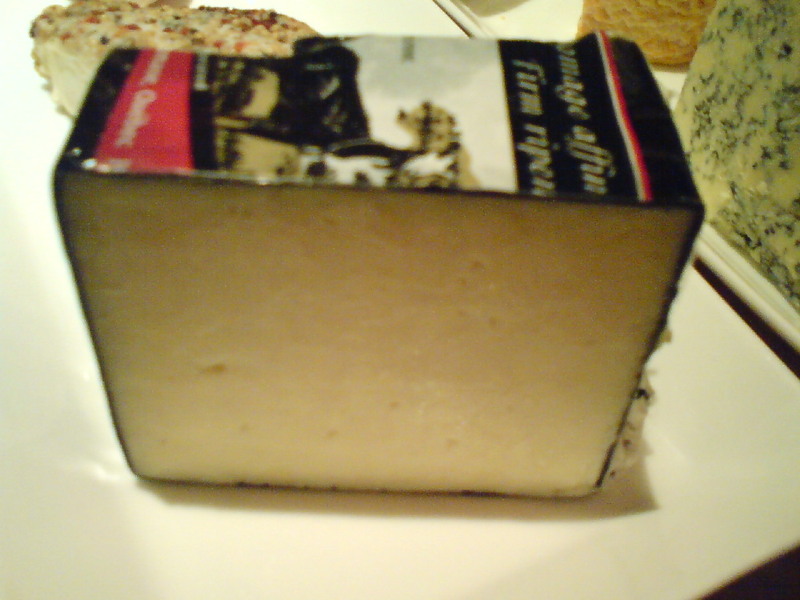 -Le Chevre Noir (Goat’s milk, Canada). She served that particular creamy hard goat cheese at the G8 Summit in Hokkaido in July last year! 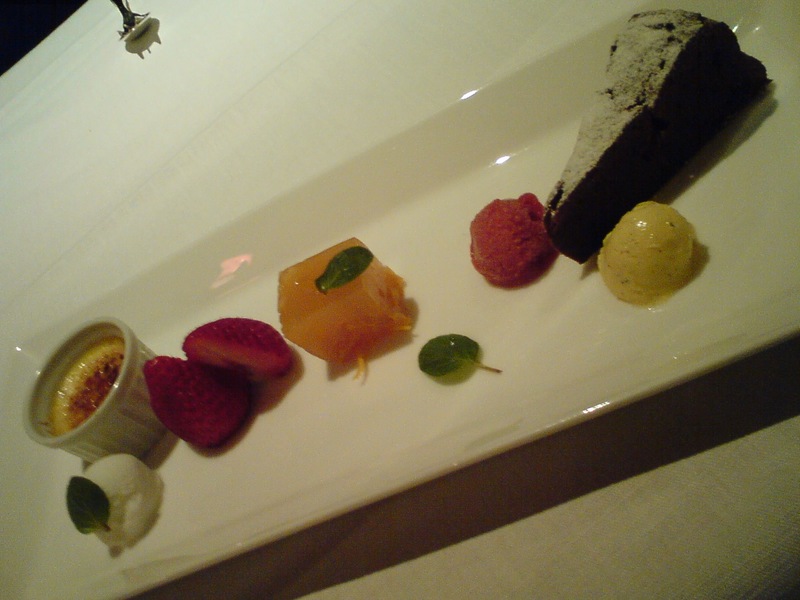 Chocolat Fondant and vanilla ice-cream! 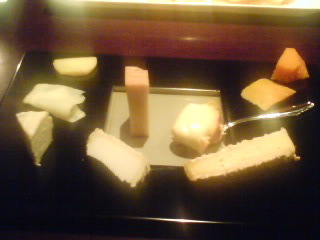 This is the third installment of a hopefully long series of cheese plates served at Gentil Restaurant in Shizuoka City. The Cheese Sommelier, Ms. Keiko Kubota is the not only the sole Japanese holding the title of compagnon d’Honneur de Taste Fromage in Japan, but she was asked to choose, prepare and serve the cheeses offered to all these vey improtant people at the G8 Summit held last July in Hokkaido. 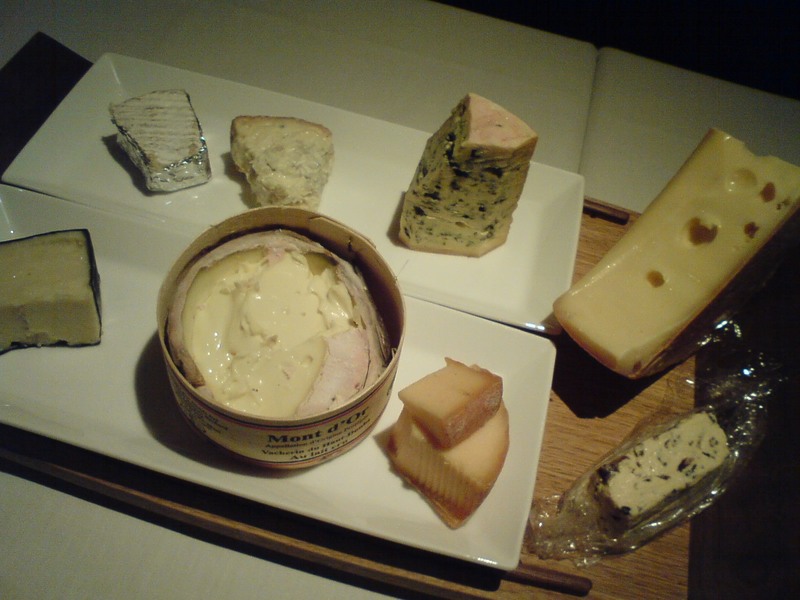 Centre top: Gorgonzola Dolce (Cow’s milk/Italy) for Rowena? 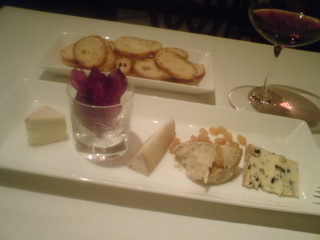 This is the second installment of a hopefully long series of cheese plates served at Gentil Restaurant in Shizuoka City. The Cheese Sommelier, Ms. Keiko Kubota is the not only Japanese holding the title of compagnon d’Honneur de Taste Fromage in Japan, but she was asked to choose, prepare and serve the cheeses offered to all these vey improtantpeople at the G8 Summit held last July in Hokkaido. This time I was more careful with the picture, and I hope you will see it in a better light! -Sakura/from Hokkaido, cow’s milk from a cow breed called Brown Swiss. -Bleu d’Auvergne/France, Auvergne, cow’s milk with dry French muscat raisins. 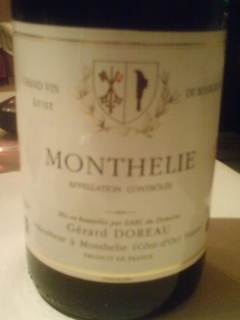 As for wine, the cheese was beautifully paired with a 2001 Monthelie (France/Cote d’Or) by Gerard Doreau! Keiko Kubota: Bringing the Art of Cheese Making to Classes! 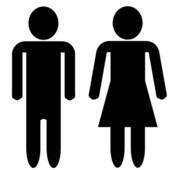 Shizuoka City boasts the only Japanese (and a lady at that!) Grand Chevalier de Tastefromage/Great Knight of the Order of Cheese Sommeliers, namely Ms. Keiko Kubota, the Maitre D’Hote at Restaurant Gentil in the same town. Last July she was asked to devise the cheese menu and serve it to the World bigwigs at the G8 Summit in Hokkaido. She could have rested on her laurels, but her passion for her trade impels her to constantly impart her skills to the young, too. 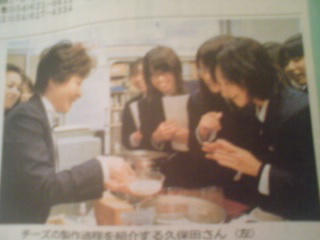 Therefore she holds regular lectures for students at Shizuoka Gakuen High School elite Sciences Class. For my part, as a Frenchman, I’m pretty happy with the succulent (World) cheeses plates she serves me at her restaurant! 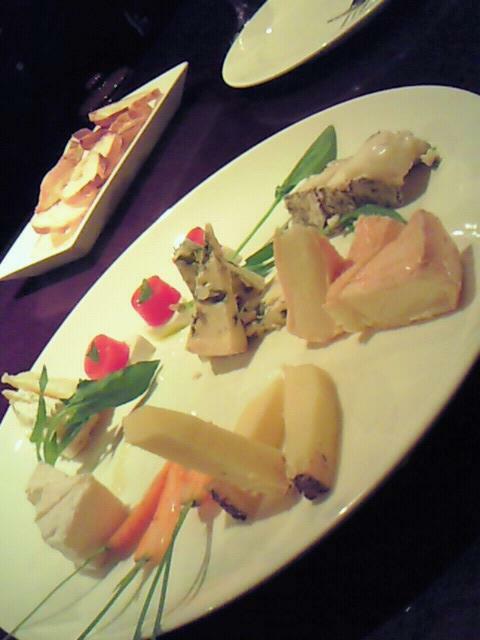 This is the first installment of a hopefully long seies of cheese plates served at Gentil Restaurant in Shizuoka City. The Cheese Sommelier, Ms. Keiko Kubota is the not only Japanese holding the title of Grand Chevalier de Taste Fromage in Japan but she was asked to choose, prepare and serve the cheeses offered to all these vey improtantpeople at the G8 Summit held last July in Hokkaido. I reckon the pic is not too great. The resaturant is a bit too dark for mobile phone cameras. I promise better ones next time! Left top: Mozzarella Miso Zuke, a cheese from Hokkaido that Ms. Kubota matured in miso paste. 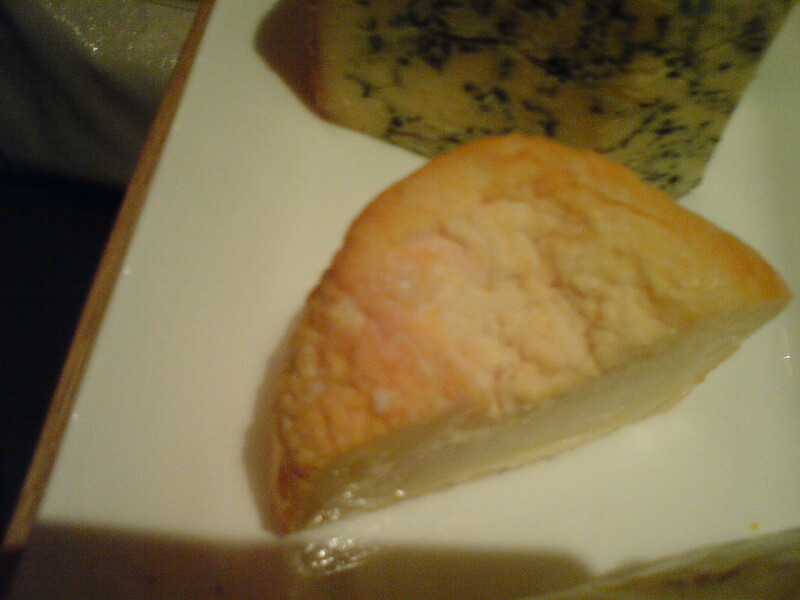 Right bottom: Brie de Meaux (France), matured for 3 months in France and one more month by Ms. Kubota. Don’t worry, next time I will ask her cheese from Italy and elsewhere! Cheese! So many tasty cheese for cheese fanatics! Yes, we are lucky here! Hi, I am a new bee in Hiroshima. I am a big fan of cheese, but because I am a muslim, I cannot take cheese that made using rennet. Seems that you have broad knowlege about cheese, can you suggest to me any brand of cheese, that is rennetfree cheese or at least suitable for vegetarian. Thanks for your reply. I’ll check for you dear Norshida! you are a cheese lover as well as a cricketer – you must come up here to Sapporo some time to play cricket and check out the Hokkaido cheeses. I helped creating the third oldest existing cricket club in Jpana, namely Shizuoka Kytes C.C. 26 years ago! I’ve heard of Ezo CC many times. Now beer, cheese and cricket would make THE great combination! That’s a great place to be! I know you always have those wonderful pictures of cheese plates, so I thought you’d be a perfect source. I appreciate it. Please let me know what you find out at my e-mail address! I’m an American journalist looking to do a story on Japanese artisan cheesemongers for an American publication. Problem is, I don’t think I can find any such products in America. Do you have any recommendations on a distributor that would ship? And if I must go to the source, I’ve heard Sakura is only available March — June–is that true? What other cheeses should I look for? I will check that for you! I’m condident I can find the source! The same company makes more cheeses, but it happens that the top cheese sommelier in Japan lives next door!